Have you ever thought about how amazing it is that we have the capacity to imagine? It’s part of the reason I was drawn to psychology as an academic discipline (only to later discover that psychology has a lot more to do with the empirical science of behaviour than contemplation of our deep and complex inner worlds). In a word, I was curious. How does imagination work? What is it that gives me this ability to picture what my future might be like, or for artists to create and portray entire fantastical mental worlds, or for children to spend countless joyful hours pretending to be something or someone else? I don’t want to, well… imagine a world without imagination. What a terrible, Orwellian nightmare world that would be. Luckily, I don’t think our ability to imagine is going to be endangered anytime soon. If anything, I would bet that our capacity for imagination is only going to increase. I also believe that imagination confers significant benefit on the process of career development. When I was a small child, I had the usual small child thoughts about possible ‘grown-up’ careers like astronaut, race car driver, jet pilot, rock star, and the like. But I also had some pretty atypical “dream careers,” the most robust being that of an entomologist. Bugs simply fascinated me – especially spiders (yes, I knew that spiders aren’t insects so they don’t strictly fall under the category of what an entomologist would study, but I liked how big the word entomologist was). My best friend and I would regularly hunt for spiders and create habitats for them in cardboard boxes or jars. At a very young age, I learned to identify common types, like garden spiders, wolf spiders, and – my personal favourite – jumping spiders (arachnophobes should avoid clicking that link). I think we can learn a lot from young, spider-obsessed Dave. Just as I would be in university many years later, I was very curious at a young age. I asked myself, “what can I learn about this?” and I pursued that learning in a near-obsessed fashion (I don’t know what else you would call catching spiders, putting them in a box, and adding bugs for them to hunt afterwards). Without an active imagination (in this sense probably more about what it was like to be a spider than one who works with spiders, but imagination, nonetheless), I never would have gone to the school library to take out books on spiders, and I definitely wouldn’t have ventured to start catching them. Imagination leads to inspired action. This isn’t something that changes as people age. Think about it: if we were never curious – if we didn’t start imagining, “what if…?” we would never do anything inspired! Obviously, I didn’t end up being an entomologist, or studying spiders, or even taking biology classes beyond grade 10 science, so some things changed along the way. But this is the important part: I didn’t let the limitations of reality interfere with my imagination. What use would imagination be, if we only wondered about the most likely? The safest? The easiest? The most ‘realistic’? 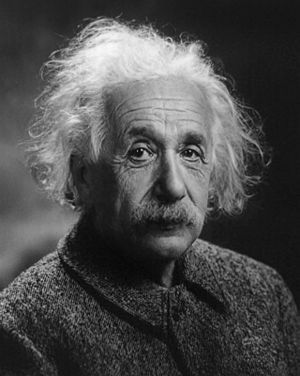 The reason that imagination is so great is that it has precisely no limitations, as reflected by the lovely Einstein quote at the beginning of this post. It doesn’t matter a whit if what you imagine comes to pass or not – because that’s not the point of imagination. As a kid, this seems like the most natural conclusion in the world to come to. But as an adult? “Imagine isn’t practical,” we’d say. Then, in leisure time, we might claim to be imaginative, but how many of us retain even a fraction of our childhood powers of wonder and curiosity? Imagination is a skill we can use to create possibilities. If we could reclaim even a tiny bit of that childhood ability, if we could train our skills of imagination such that they required less effort to use, our careers could only benefit. There are some more creative career paths that might have the upper hand here – entrepreneurs, artists, designers, theorists, anyone whose work involves coming up with ideas. But while imagination may have a significant correlation with creativity, it’s important not to equate the two constructs. Letting one’s mind roam as freely as possible, without any sort of constriction whatsoever, goes beyond the creative, and embraces the imaginative. Have you ever felt stuck, from a career perspective? What is being stuck, aside from experiencing a total blockage of imagination? Imagination is a skill, and like any skill, it requires practice in order to hone it. So how can we hone our imagination? Well, that sounds like a great article for another day. Stay tuned. ← How Do Career Professionals Help?